CAMP MASSAWIPPI is located on a beautiful 19-acre site on the shores of Lake Massawippi in Quebec’s picturesque Eastern Townships. TUBING AND OF COURSE ADAPTED WATER SKIING. ALL OF THOSE ARE SUPERVISED BY A TEAM OF LIFEGUARDS. campers can consult with a nurse and nursing staff in an all new stATE-of-the-art Health Hut, designed to care for their specific needs. 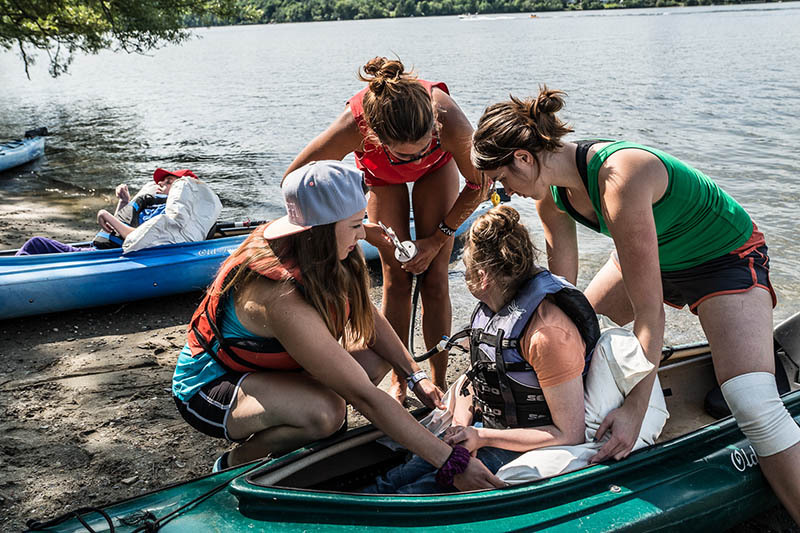 Whether it is to provide first aid or more advanced treatment, we left nothing to chance when it comes to giving campers the healthcare services they need in complete privacy. OUR CATERER PREPARES HEALTHY AND BALANCED DIETICIAN-APPROVED MENUS, WITH SPECIAL ATTENTION PAID TO FOOD ALLERGIES, INDIVIDUAL DIETS AND DIETARY RESTRICTIONS. CAMPERS ALSO HAVE THE OPPORTUNITY TO OBTAIN FRUIT ALL DAY AT THE CAFETERIA AND IN BETWEEN ACTIVITIES.